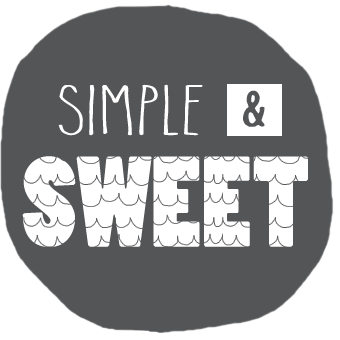 Simple & Sweet: Kidless - What's a mom to do? Kidless - What's a mom to do? I am sailing through uncharted water in my world. For the first time since December 5, 2008, I am home alone without my son for the next 3 days. Yikes! Over the past year Josiah has slept over with his buddy R across the street probably 2-3x when we've taken turns going on dates, but that's been the extent of our separation. Alright, yes...we are probably WAY overdue for this, but without grandparents or other family nearby we've never had the option. My parents graciously offered to take Josiah to the lake for a few days, and OMG was he excited!!! Watching the sparkle in his eyes as he ran around collecting his whiffle balls, butterfly net, baseball glove, golf club, bike...was so much fun. And I only cried for less than 5 minutes after I got him in his carseat in my mom's car (yes, I'm clearly inexperienced in being home alone)! So, what am I doing all by myself? Well, since Jim was already sleeping by the time Josiah left, I did the only logical thing a mom can do...start cleaning out our kitchen cupboards! I'm pretty sure that some of them haven't been cleaned since we moved in 6 years ago, and even those that have been cleaned more recently have become a gigantic cluttered mess over the last 3 1/2 years. 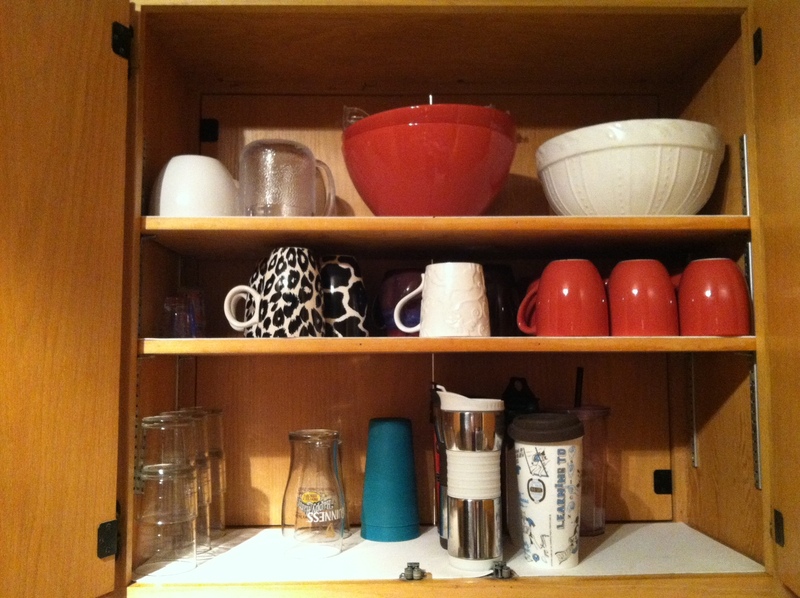 Now, those of you who know me well are probably thinking...Laura is one of the most organized people I know (or so it may seem), so her cupboards can't possibly be that bad. Well, they were! I cannot believe some of the things that I've put up with (like about 200 random lids in our tupperware collection). The kitchen has been on my list for at least a year, but I knew it would require a great deal of time and deliberate planning to actually get everything situated how it needs to be. Now that I've discovered Pinterest and an AMAZING blog devoted to organizing totally my style I've been dying to get our little abode whipped back into shape. If you haven't already been here, check out... http://iheartorganizing.blogspot.com/ I'm pretty sure Jen and I would be great friends if we lived closer together! So far I've gone through all our dishes and created a "kid zone" cupboard, downsized our tupperware from two gigantic drawers to half of one, and emptied everything out of the pantry to our kitchen table. Here are a few pix of what's done! What I hated: everything was hard to pull out, the vitamins were taking over the bottom shelf, there were cds, scissors, and candy shoved in random places, and it just looks like a jumble of randomness. 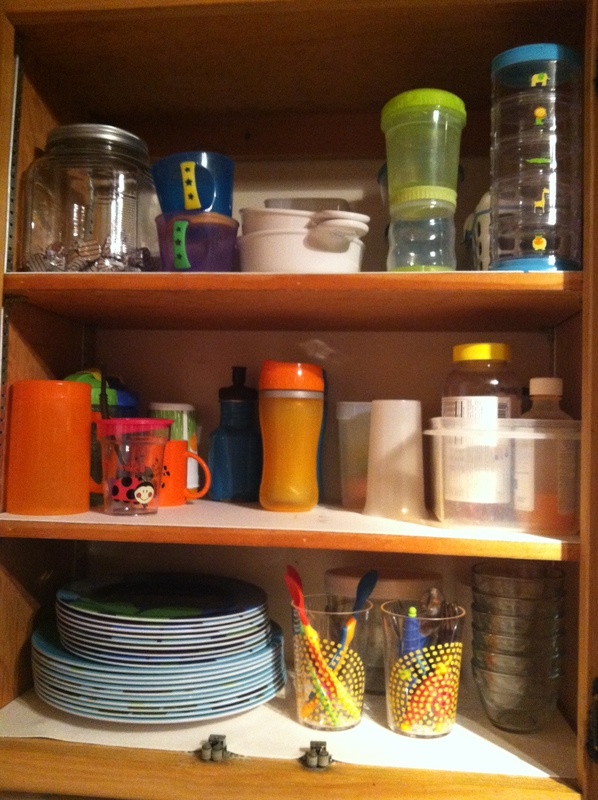 Now, it's our cupboard for all things kid-related! (Inspiration from blog sited above) What I love: everything for Josiah is in one place and not mixed in with adult dishes, Josiah's vitamins and medications are corralled in one container, and the two cups I found at Target for his utensils are super cute! 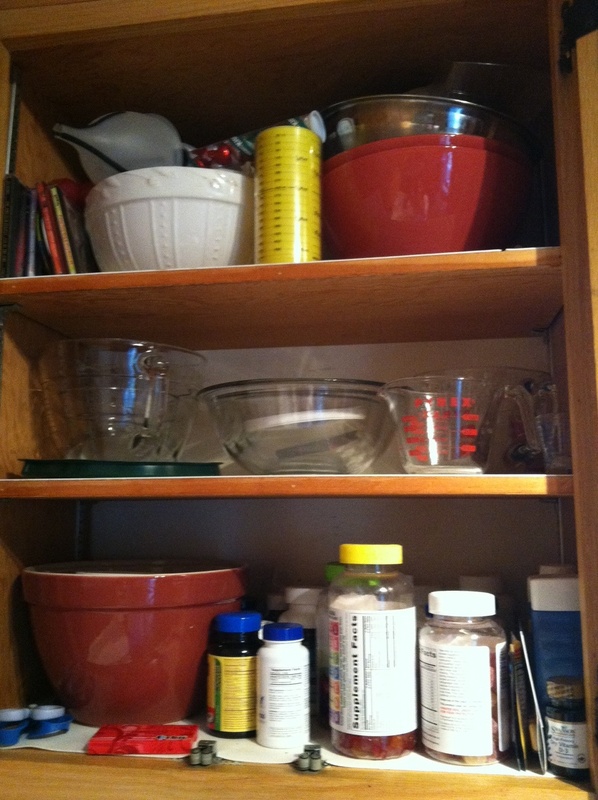 Forgot to take before shots, but all my baking gear needed to find a new home in another cupboard, and since I don't typically grab those items on a daily basis I decided to move all our dishes to the bottom two shelves in these two side-by-side cupboards and store mixing bowls above. What I love: now that I adjusted the shelf heights all our tall coffee mugs can stand up and not lay on their side (what a concept! ), I can reach the cereal bowls without Jim or standing on a stool, and there is no longer coffee or snacks for Josiah mixed in with dishes! Tomorrow will be my first full day on my own, and I can't wait to finish! 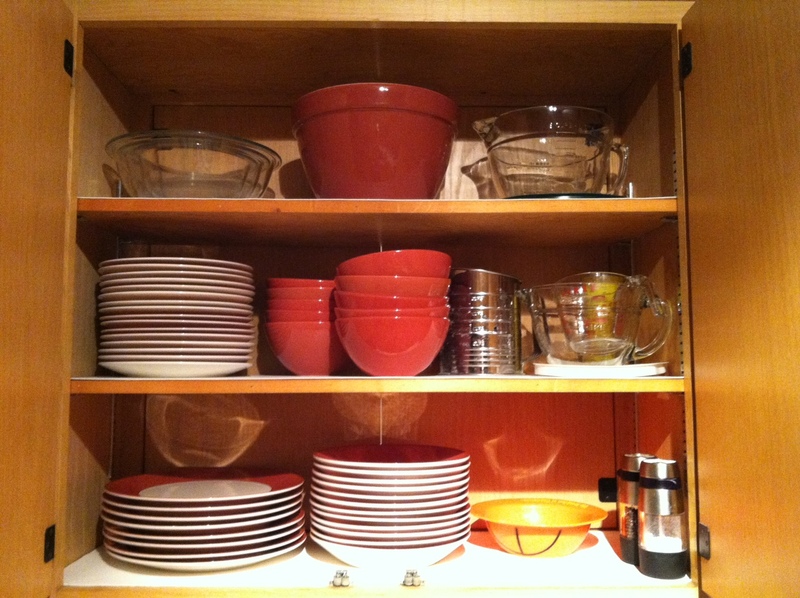 I will be on a mission to pick up a few more organizers for our kitchen utensils and pantry, clean out the spice cupboard, and replace all the empty yogurt containers in my tupperware drawer with quality BPA-free plastic and glass containers. Woot woot! Disclaimer - yes, cleaning out and organizing makes me more excited than the average person, and doing it at 2:00 am only intensifies that. But since I don't have anyone waking me up in the morning for the first time since Josiah was born, I can stay up as late as I want and be able to recover!!! See y'all tomorrow for phase 2! 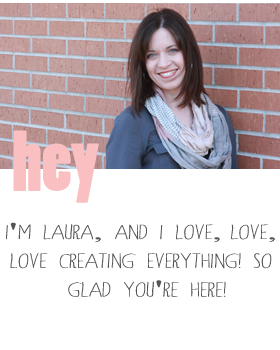 I love that you're blogging! And... I think we are very similar people. :) LOVE your organizing strategy. Hope you enjoyed your time to get things accomplished and be child-free!